A caring funeral home that serves bereaved families in Slateford, West Edinburgh. The service we received from Scotmid was exemplary. Every member of staff we came across was respectful and empathetic. They went out of their way to accommodate our wishes. They made what was a very difficult time easier. I must say that the funeral from start to finish went very well there was a couple of snags which Alan Taylor the funeral arranger resolved very quickly I must thank all staff I was involved with for the kindness they should to myself and family. First class service and organisation from Scotmid. Everyone involved extremely caring and professional. Allan who did the organisation, Christine who was in charge of the funeral and helped us through the day and Lis who delivered a fantastic service and eulogy for my mum. An excellent team. 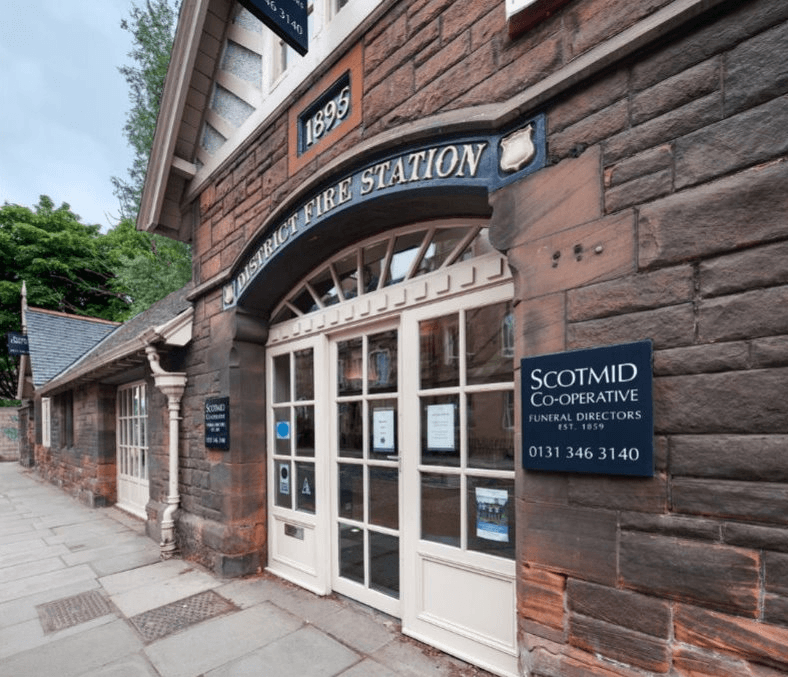 This funeral home in Slateford is proud to be a part of Scotland’s largest independent co-operative, with a rich history spanning over 150 years. 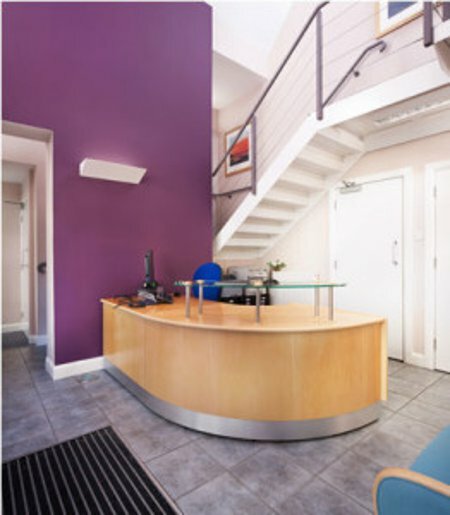 Scotmid is proud to be at the heart of the local communities it serves, with its Angle Park Terrace office located in the west of Edinburgh. Close to Gorgie and Fountainbridge, the listed building was originally a fire station and has parking for clients where the fire engines were once housed. You’ll find the Slateford funeral home’s Angle Park Terrace office opposite the Caley Sample Room and just down the road from the Diggers Arms. It has arrangement rooms, along with viewing rooms. Scotmid funerals are members of the National Association of Funeral Directors (NAFD), The Funeral Planning Authority (FPA) and is proud to be recommended by The Good Funeral Guide a trusted information resource for independent funeral advice. Faultless.....every detail as requested and more went as planned. Every thing was excellent from start to finish . An excellent service from Scotmid Co-op Funeral Directors. Arrangements were excellent, staff were very courteous and respectful and the family were completely happy with how the funeral progressed given that this was a very sad day for us. Thank for all your help and support. Excellent service, everything went smoothly and can't fault anything. Kindest Regards Karen. Faulds. The funeral was delayed due to the late arrival of paperwork NOT the funeral directors fault, the care home seemed confused. All arrangements and the graveside service were perfection for which we sincerely thank Allan Taylor of Scotmid. I would recommend Scotmid in the highest possible terms - very kind, very efficient people who will deliver a dignified and special service for your loved one. a very big thank you to the scotmid team,you handled everything sensitivly and with great aplomb.You were so very helpful with everything. Allan helped us change from the original burial plan to a cremation when getting a plot for John seemed to be a hold up on the time of funeral. Although we would have preferred just to deal with Allan throughout the procedure his other colleague took over on our visit to sign papers. Allan from Angle Park Scotmid was excellent and did a very good job with our Mothers funeral. Everything was organised perfectly and the service went extremely well. Despite having to make last minute changes Allan responded well and made sure they happened. Would highly recommend them as the service was first rate. Thank you. Our son Stuart died in Edinburgh 6 weeks ago unexpectedly. We live in Norfolk and had to organise the cremation in Edinburgh from here. We have had amazing and constant support from the funeral directors who followed our instructions (which often changed) without any hesitation. The funeral was a mixture of tears and some laughter but so personal to our son. All the advice we received from the directors was proved to be the right advice. We will always be grateful. Thank you all so much for giving Stuart a great send off. This was the second funeral that Scotmid managed on behalf of my family in the past seven weeks and like the first, it was handled with personal sensitivity towards all and in a very professional manner both before during and after. The funeral arrangements were managed by ScotMid with appropriate sensitivity and attention to detail that provided a great deal of comfort. The funeral directors, Allan and Philip, went to great lengths before and during the funeral to ensure that the family's wishes were met. Scotmid Funerals, Angle Park will provide you with a free obituary as part of their service.